Derek completed a Bachelor of Applied Science, majoring in Geology in 2009. 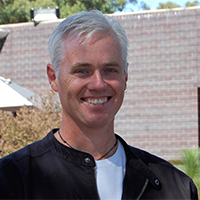 Since then he has worked in a variety of fields including hydrogeology with the South Australian Department for Water and Biodiversity, as an exploration and production geologist with Stawell Gold Mine in Victoria, a production geologist with ABM Resources in the Tanami Desert, Northern Territory and most recently as a data analyst with the Department of Environment, Lands, Water and Planning (DEWLP). In 2015 he completed his honours at Federation University Australia, which involved a facies description of the Dennington Member of the Bridgewater Formation at Thunder Point in Warrnambool, Victoria for which he received the Professor Ferdinand Mortiz Krause Medal for excellence in geology. He is currently working part-time with CeRDI and is involved in updating the Visualising Victoria's Groundwater (VVG) portal across to the new platform.